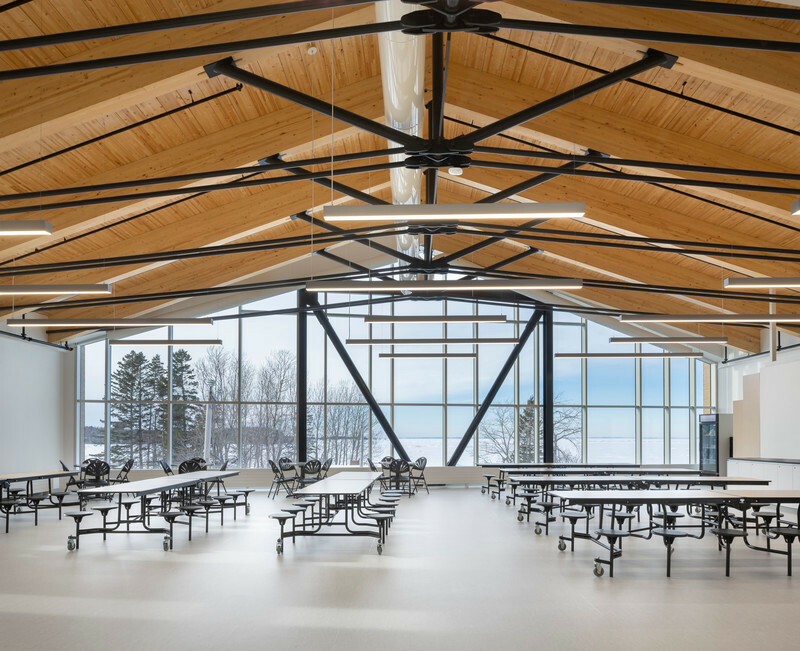 Designing an elementary school of tomorrow in a 120,000 square-foot heritage building built in 1896—that’s the challenge that Sainte-Anne Academy gave Taktik Design. 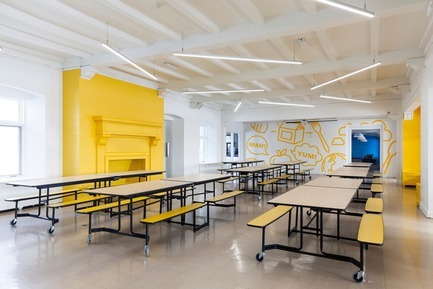 From room layout to furniture design to communications, this innovative project was undertaken by Taktik Design’s industrial, interior and graphic designers. 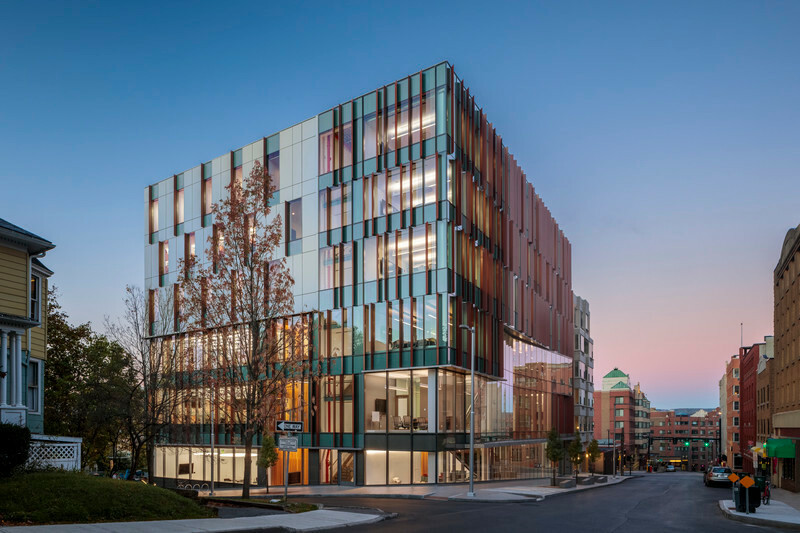 After the team proposed the initial solutions, they were given carte blanche to create an efficient environment that accommodates the latest teaching standards. 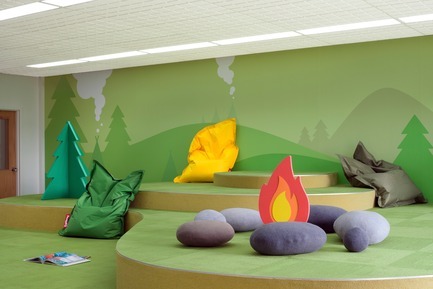 The fun-filled environment at the Academy was designed with kids in mind; the space is less of an interpretation of their imaginations and more of a blank canvas for their creativity. 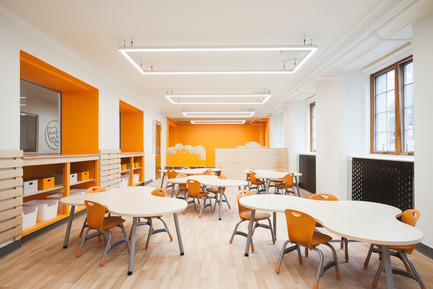 Drawing on innovative international teaching methods, the spaces were opened up to create clear sight lines and relevant connections between functions while allowing more light into the heart of the school. 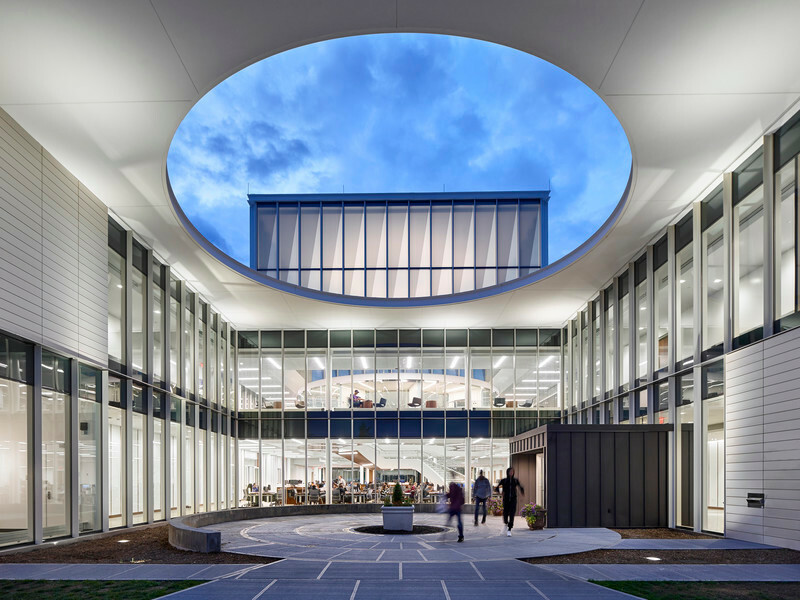 Incorporating thematic rooms—like a greenhouse and a theatre—the design supports the teachers in their work and the educational program overall. 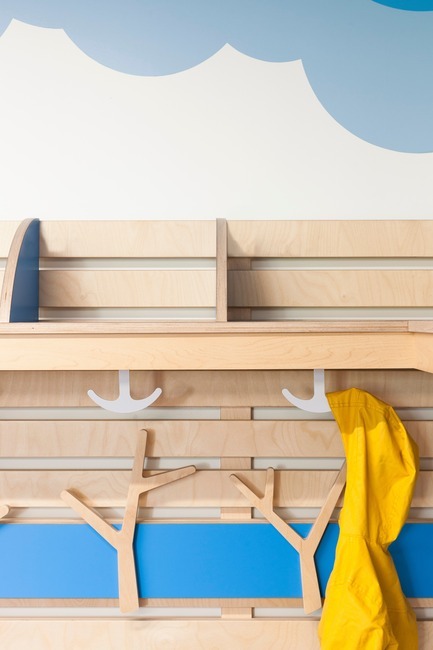 Seven hundred sheets of plywood were modelled to meet the school’s specific needs for materials that were cost-effective, solid and easy to clean. This option proved less costly and more suitable than the furniture available on the market. 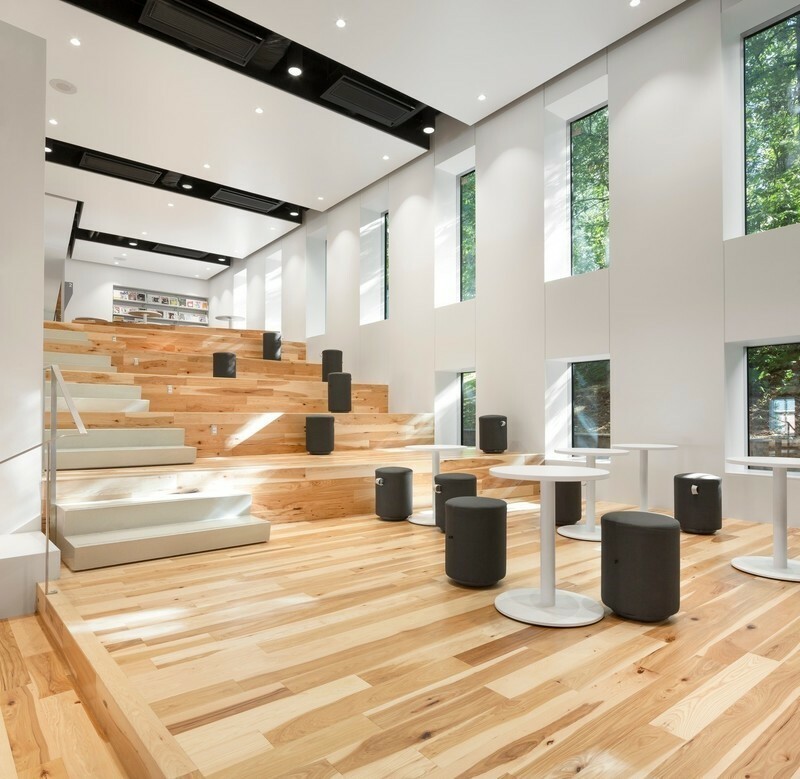 Every aspect of the furniture was carefully considered to strengthen the project concept. 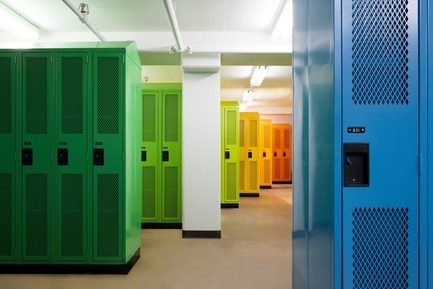 Storage units in classrooms and coatrooms were tailored for the size of the students, allowing for easy access. 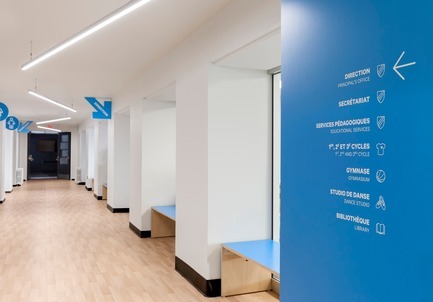 Special signage and a colour chart were developed to express the brand image, promote a sense of belonging among students and facilitate orientation, even for the elementary school’s youngest students. 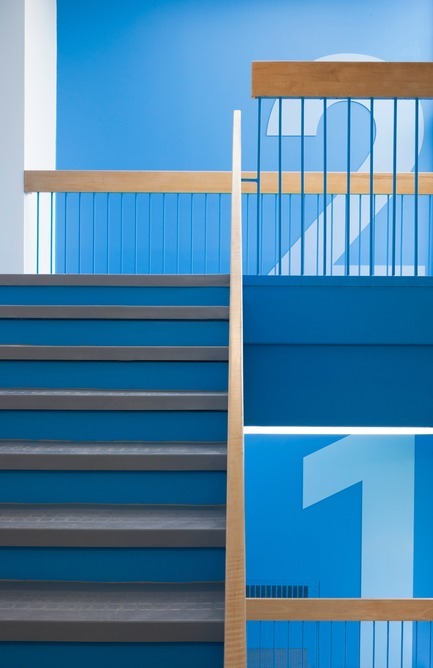 A single colour is assigned per group and is clearly visible from the hallways. 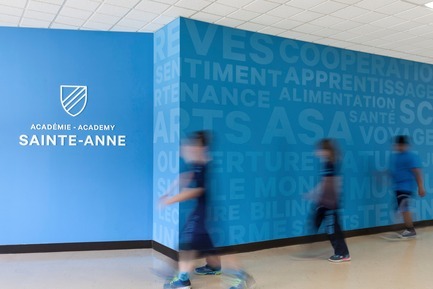 Meanwhile, the school logo was redesigned to be progressive, indicating the students’ grade cycles and classroom floors. 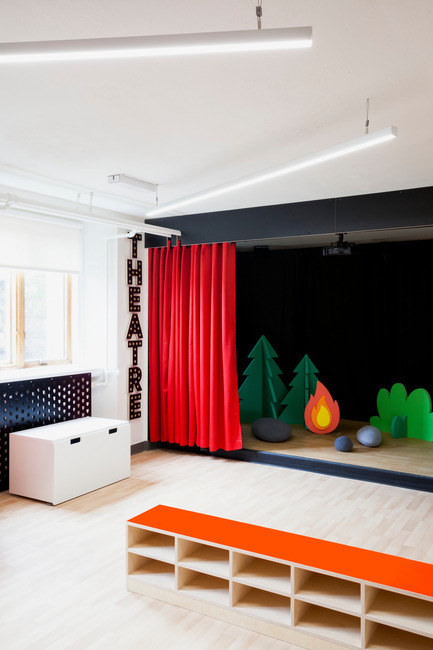 The monochrome theme in the classrooms prevents visual overstimulation and allows the space to be brought to life by the children themselves. Icons representing the institution’s values are posted on the walls and included on signage, contributing to the unique character of each learning space. The same shapes are used throughout, though varying in scale, to ensure consistency and strengthen the visual identity of the spaces. 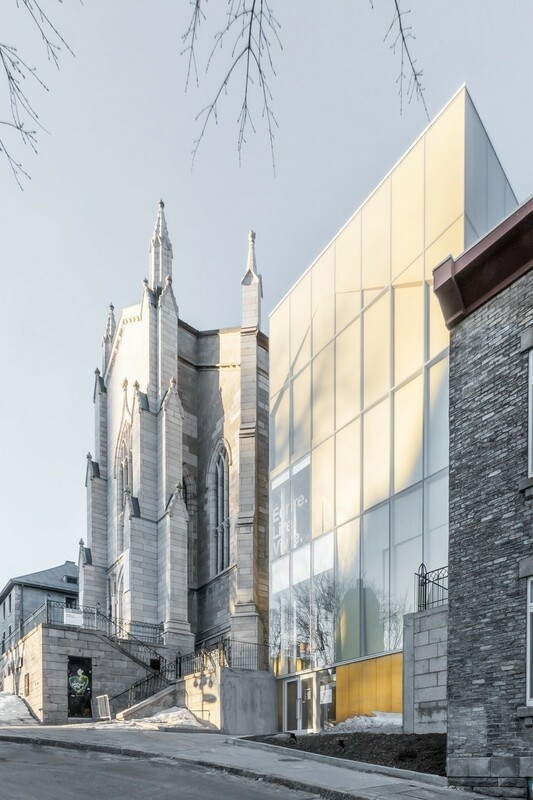 At the GRANDS PRIX DU DESIGN, Taktik Design’s know-how was recognized along with Sainte-Anne Academy’s modern approach and openness to interactive technologies. 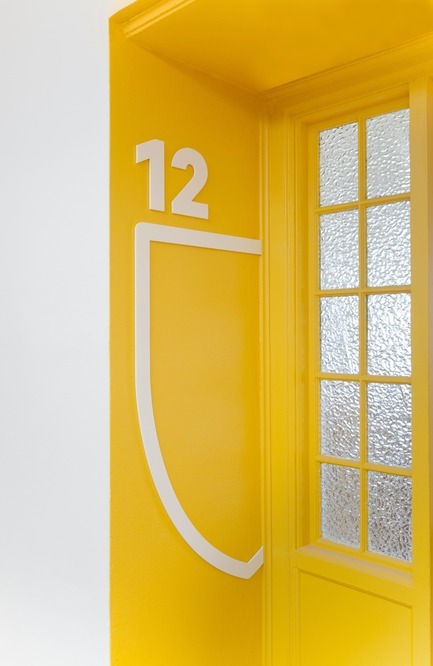 “From the use of colour to the graphic design and furniture concepts, the jury unanimously agrees on the project’s overall strength and success,” stated the contest jury. 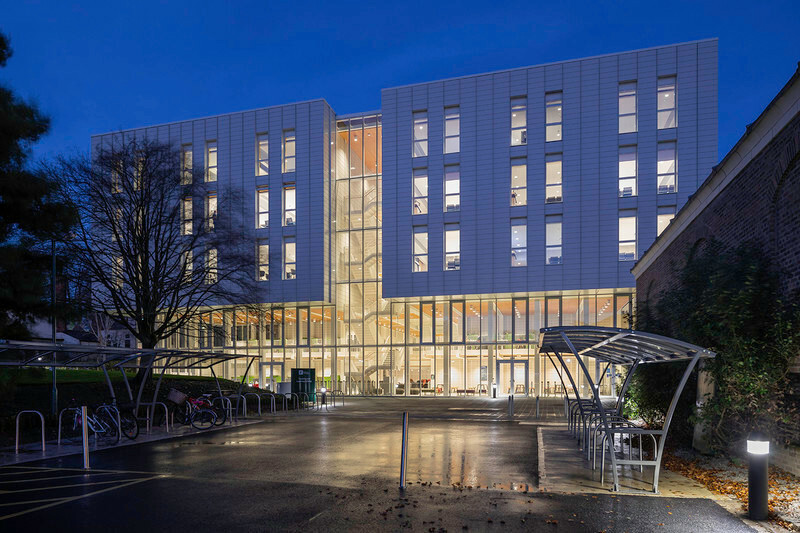 “The design reflects the teaching approach and is true to the establishment’s identity. 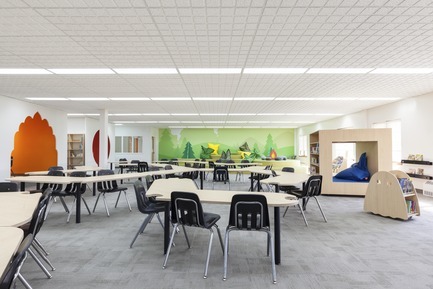 But its modern look and reconfiguration are what really make it a magical space that simultaneously supports teachers and encourages children to explore.” Taktik Design also took home awards in the Institutional Establishment and Commercial Furnishings categories for their work at Sainte-Anne Academy. 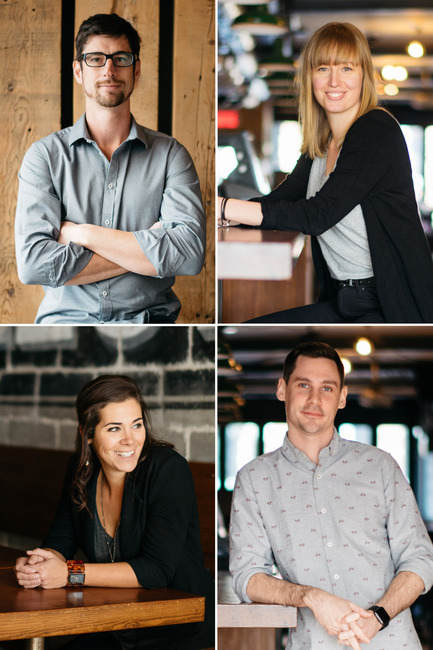 Taktik Design is a team of creatives that designs efficient institutional, commercial and residential spaces. 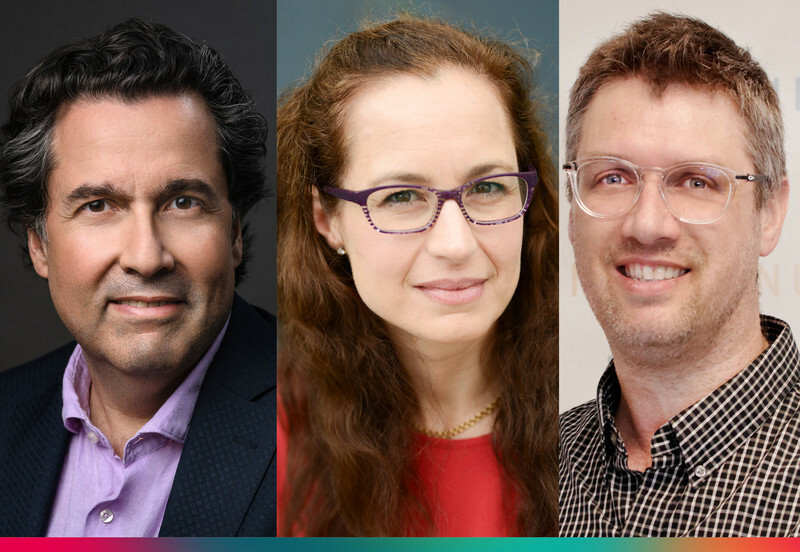 When developing projects, the Montreal-based firm works closely with clients and users, ensuring that they remain at the heart of the collaborative and multidisciplinary process. 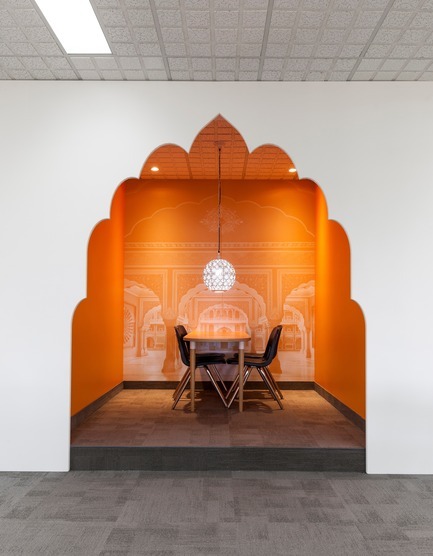 From the identity and character of a given space to its furniture and signage, Taktik Design employs an organic, big-picture approach that focuses on the various ways a space is used. 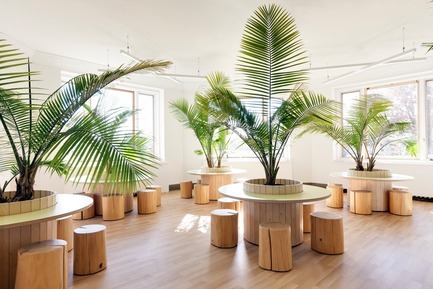 The result is innovative environments that get noticed. 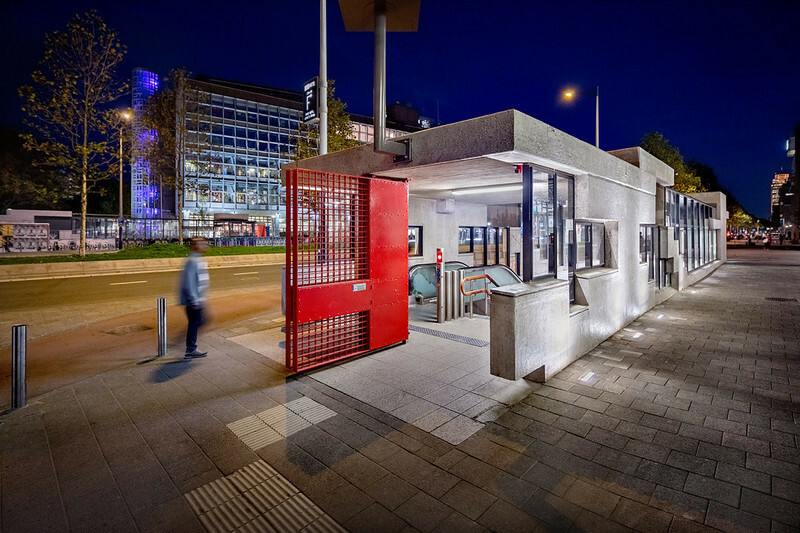 Over the past 10 years, Taktik has earned a reputation for designs that are pragmatic but light-hearted, carefully planned but lively, and that reconcile spaces and their users.